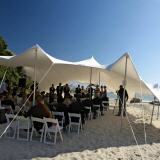 The team of Sardinia DreamWedding has operated in Sardinia as a Wedding Planner since 2006. We are a small international team which have been living on this sunny italian island since the late 90s. We realised that it is not an easy task for people to organise an event such as a wedding in a foreign country with language barriers, local customs and bureaucracy as hindrances. One’s expectations of a beautiful event can often be dashed by the simple lack of good contacts. 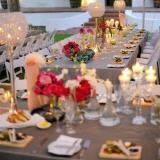 Our well-functioning and reliable network of partners, agencies and suppliers allows us to prepare everything from A – Z for a couple wanting a dream wedding in Sardinia. This is a guarantee for you and your guests that your wedding in Sardinia will be an unforgettable experience witout any stress. As Wedding Planners, we arrange for each couple to be married to chose what they prefer and we will carry out your requests. We guarantee tailor-made weddings and parties, professional and personal service, and are committed to fulfill your every desire. True to our motto: We strive to fullfill your wishes.